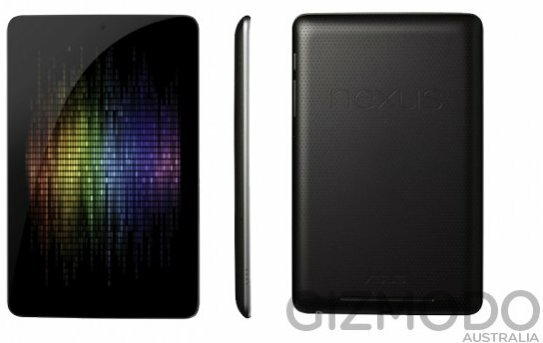 Details about Google's rumored Nexus 7 tablet have been published over at Gizmodo Australia. According to the site, this 7" tablet will offer a 1280 x 800 pixel IPS screen, a NVIDIA Tegra 3 1.3GHz quad-core processor, 1GB RAM, a 1.2MP front camera, and up to nine hours of battery life. The base model will offer 8GB of storage for $199 while the 16GB model is expected to go for $249. The leaked document also says that the device will be the first to run Jelly Bean, the new version of Android. Details are scarce on Jelly Bean, but the slides tell us that Google will handle operating system updates from now on, which could address the fragmentation problem. We aren’t sure if this statement means that Google will handle all handset updates from Jelly Bean onwards, or if it just means it will handle it for the Nexus 7 going forward. Based on the various arrangements with other manufacturers and telcos around the world, it’s likely to be the latter. We’ll know more come Google I/O.